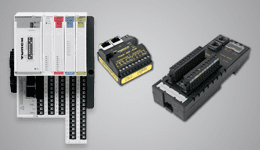 TURCK provides a complete line of Industrial Ethernet products, including on-machine, in-cabinet, block, and modular I/O. 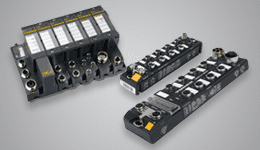 TURCK offers Ethernet solutions where I/O can connect directly or indirectly to Ethernet. The most recent innovation is the multiprotocol Industrial Ethernet concept. TURCK’s innovative approach to Industrial Ethernet makes moving from another protocol or simply implementing a fieldbus for the first time plug-in simple. TURCK’s multiprotocol products are self-configuring and offer a seamless transition to Ethernet, whatever Ethernet that may be.